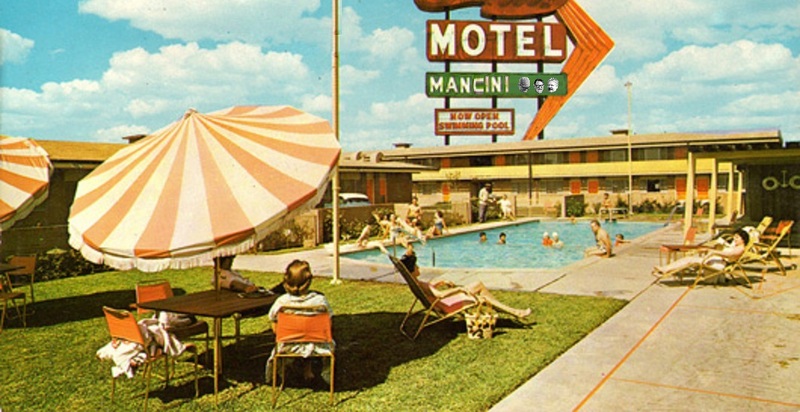 the threat of icy weather didn’t stop motel mancini last friday night. we played like it was sunny enough to go swimming– but we stayed dressed for winter. the following songs were recorded: i want jesus to walk with me which went right into clay’s rendition of jesus’ gonna be here. it had to be you featured the two part harmony that chris and i have been singing since the late 80′s. clay took the lead again on jockey full of bourbon while i made bullwhip sounds. good to hear about Friday night. sounds like you had a good time. hope there were lots of people there. looking forward to the next time you do it again. You got my vote for the best music in the emmies. just went back to hear the songs and I heard the whip! hey you are looking good. love the vest and hat.